THE REHAB GROUP has provided more information to the Public Accounts Committee (PAC) in relation to a number of questions the committee had put to it in the last fortnight. However, it’s understood that PAC is not satisfied that it has received information on all 12 points that it put to the controversial disability charity over a fortnight ago. A committee source said there are shortcomings in the information regarding the remuneration to former Fine Gael strategist Frank Flannery and the work he undertook for the disability charity whose board he served on until earlier this week. In addition, the Towers Watson report on the remuneration of Rehab’s senior executives, which the committee had sought, does not appear to have been fully provided. Among a dozen queries, PAC had asked for information in relation to the consultancy work undertaken by Flannery for the Rehab Group and information in relation to his pension entitlements as well as other details. Rehab has provided details of salary arrangements for senior executives, making that information public last night. Separately, Flannery has sent a letter to the committee indicating that he is willing to provide it with information about his role at Rehab in written form in the first instance if PAC requests such information. He has distanced himself from suggestions that he has been unwilling to cooperate with the Oireachtas public spending watchdog. 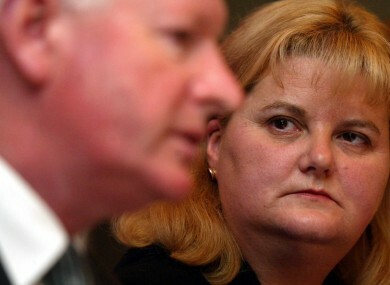 In the letter, Flannery has maintained that he had not been contacted about appearing before the committee last month when several Rehab executives, including CEO Angela Kerins, spent seven hours answering questions. He has asked that the committee write to him at his home address to correspond further on the matters it wishes to discuss with him. Speaking to TheJournal.ie, PAC member and Labour TD Robert Dowds said that he still feels that Frank Flannery should appear before the PAC. He added that while Rehab have given a detailed document to the PAC, “it doesn’t go far enough” in terms of questions hanging over Flannery, “particularly in relation to his lobby work,” he said. “If he was lobbying for public money then it is very much in the remit of the PAC,” he said, adding that there are questions that need to be answered, especially due to the fact that “he has such close links” to Labour’s coalition colleagues, Fine Gael. The committee is expected to meet in private session with its legal advisor tomorrow morning before discussing the correspondence it has received from Rehab and Flannery in recent days. It’s also understood that a letter from the solicitor of developer John Kelly will be discussed at the committee tomorrow. Kelly claims he spent tens of thousands of euro entertaining Rehab executives and discussed the potential sale of Rehab’s headquarters in Dublin. Claims of such discussions have been denied by Rehab. A note on the consultancy work undertaken by Mr Frank Flannery for the Rehab Group. A copy of the latest annual accounts of Care Trust Limited and of the Rehab Lotteries Ltd. Confirmation of the percentages of Rehab trainees who complete courses with the National Learning Network and then commence work in the open labour market. A copy of the 2012 memorandum from the Department of Public Expenditure and Reform which recommends the abolition of the charitable lotteries fund. Details of former CEO, Mr Frank Flannery’s, pension entitlements. A note on the commercial relationship between Rehab and Complete Eco Solutions Limited. Confirmation of the year that Rehab entered into coffin production to be included. A note on the financial losses sustained to Rehab from the closure of Rehab enterprises in the west of Ireland. Details on whether any of the employees who lost their jobs due to the closure, found employment elsewhere. A note on the remuneration levels paid to all staff whose salary are equivalent or above Grade 8 of the consolidated pay-scales, to include a breakdown of the rates paid in respect of employees of the Rehab Group or its subsidiary companies. Email “PAC hasn’t got all the information it wanted about Rehab… or Frank Flannery”. Feedback on “PAC hasn’t got all the information it wanted about Rehab… or Frank Flannery”.